For this dinner I put together 2 seafood dishes from Marcella Hazan’s cookbook: spaghetti with scallop sauce with olive oil, garlic and pepper; and grilled swordfish steaks, Sicilian salmoriglio style. I didn’t take many photos as I was busy trying to prepare both dishes simultaneously so that didn’t leave me with much chances to snap shots. 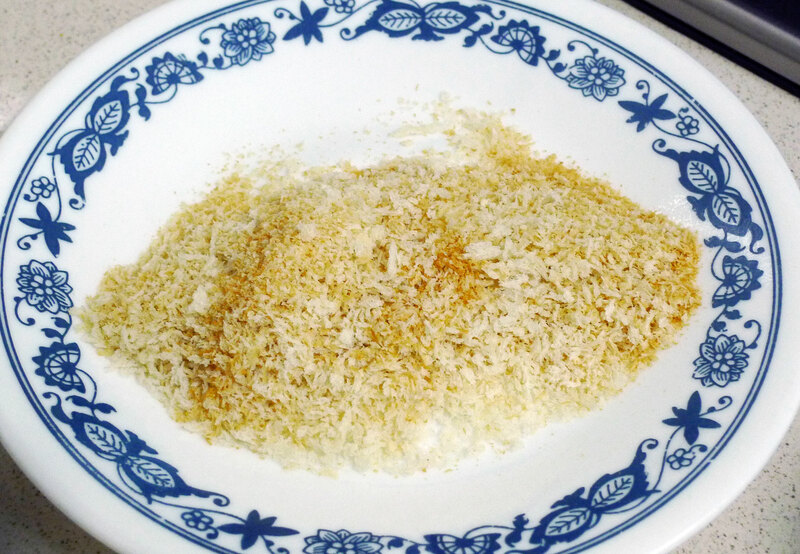 These are some bread crumbs that I toasted in the skillet to use in the sauce. This sauce is meant to be made with canestrelli, which are really small baby scallops, but since I couldn’t find them I used normal scallops and just cut them up into smaller pieces. Then it was just sauteing garlic in extra virgin olive oil with lots of freshly ground black pepper and some chilli flakes. 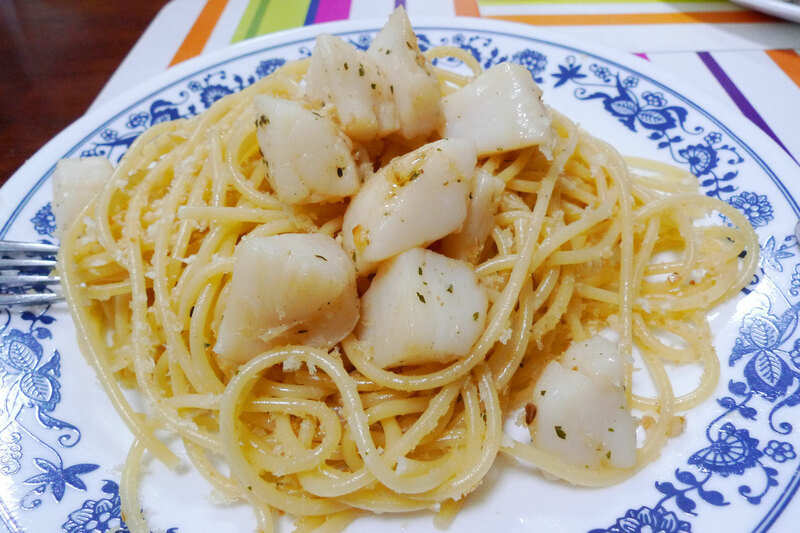 After the garlic turned golden, I threw in the scallops and cooked them until they turned opaque. 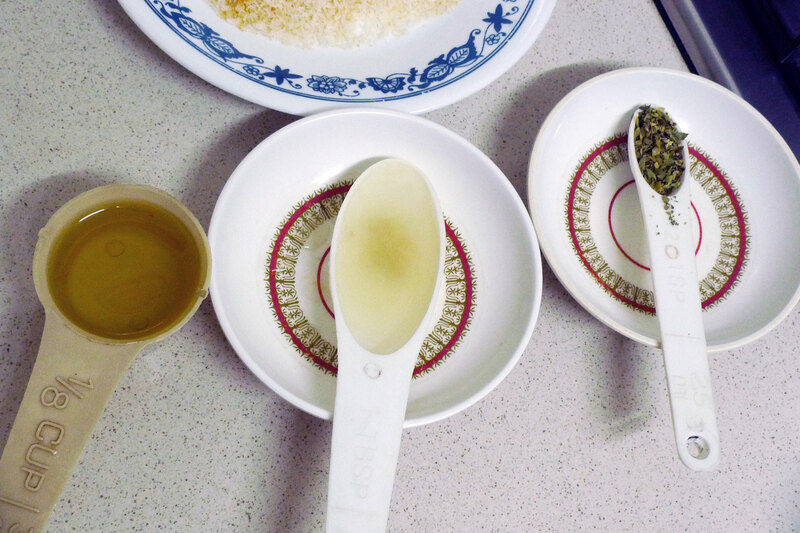 At the same time I was super-heating up the griddle pan and preparing the salmoriglio mixture – which is basically salt, olive oil, oregano lemon juice and black pepper. 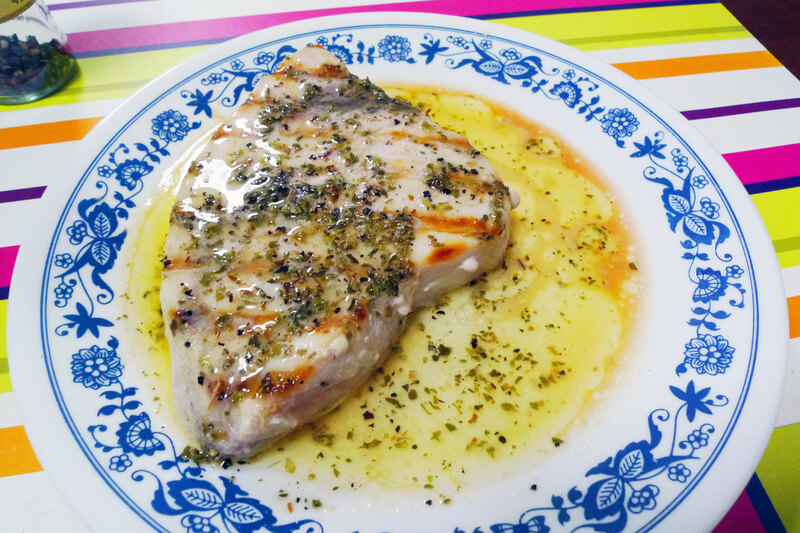 After grilling the swordfish steaks for about 2 mins on each side, I took them off, poked lots of holes in them and poured the mixture over the swordfish slowly so that it could go into the holes. It was delicious! 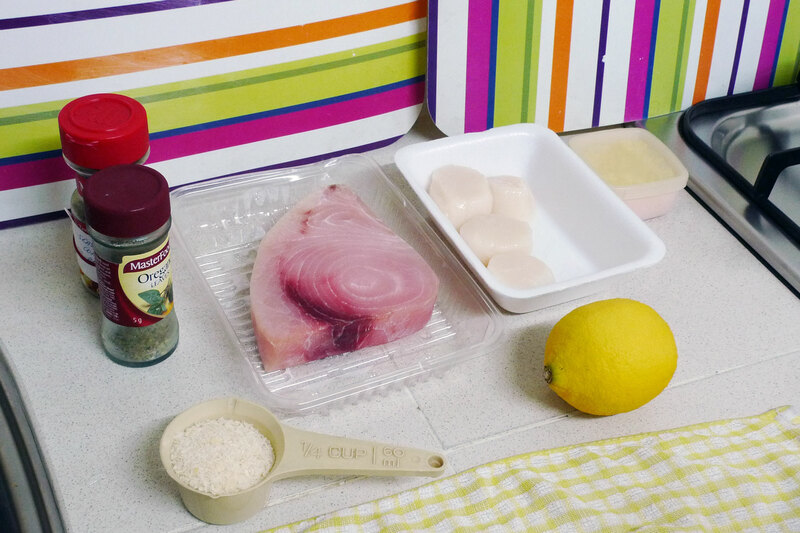 2 Responses to "A simple Italian seafood dinner"
I love scallops, never ate them with spaghetti though. 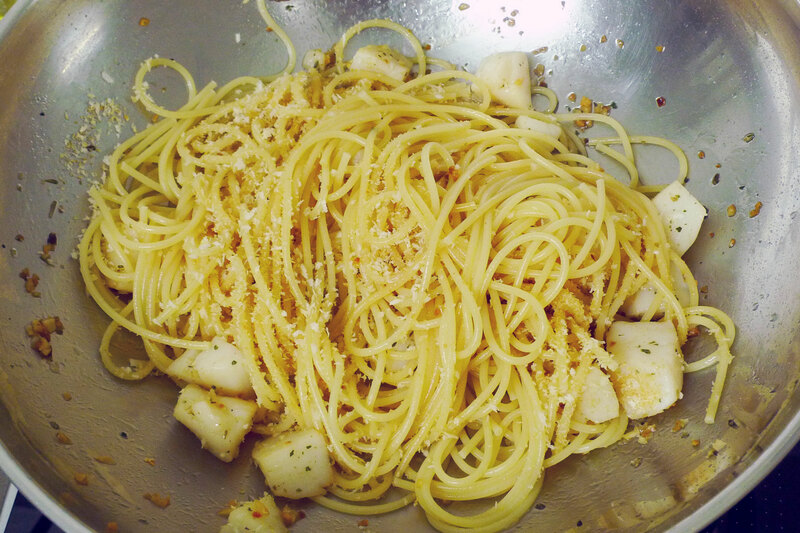 You get that fresh scallop taste with the olive oil and the bread crumbs. It’s really nice!